When words fail, a home-cooked meal transcends differences in this touching story of intergenerational connectedness, forgiveness and the sweetest spice of life: love. As a Korean family struggles to relate across emotional and cultural divides, it’s the ingredients they share in common that lead to understanding. 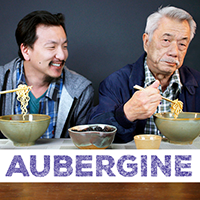 Aubergine is a mouthwatering meditation on the beauty of life where hope is no mere ingredient—it’s the main course.